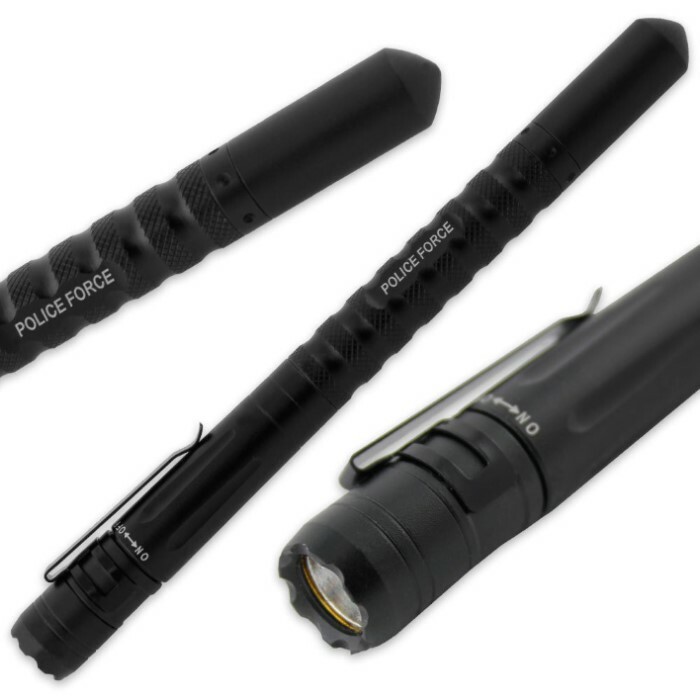 Police Force Tactical Pen LED Flashlight DNA Collector Self Defense Pen | BUDK.com - Knives & Swords At The Lowest Prices! 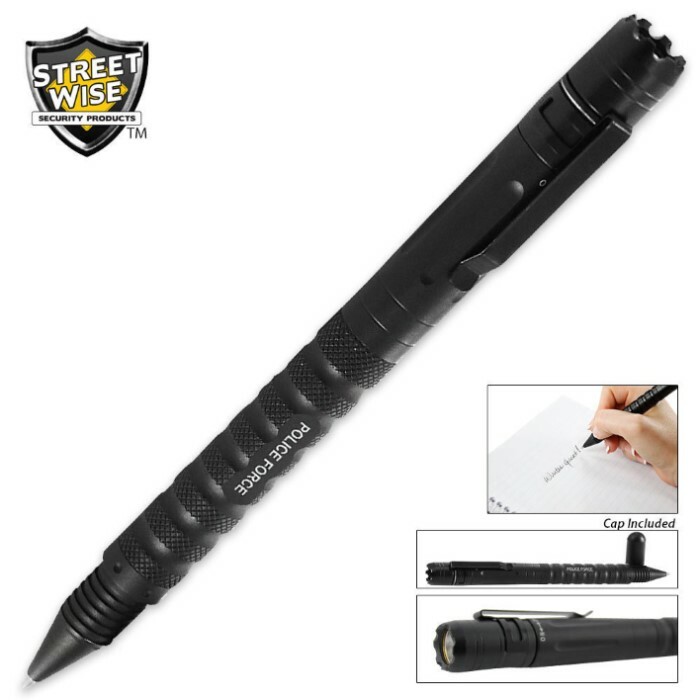 In addition to being a fine writing instrument, this Police Force Tactical pen covers all the bases with a kubaton-style point, bright LED flashlight and built-in DNA collector. The kubaton-style tip and hefty aluminum construction deliver crushing punches, and the ultra-bright LED flashlight provides emergency light. You can clip it to your shirt pocket or pants pocket with the sturdy clip. It is also water-resistant and engineered to meet the demands of police, military and security professionals worldwide, but is also available to civilians at an affordable price. First off, the pen is rather large at about 7" long. Not that it's problem, just wasn't expecting a pen that big. The flashlight is super bright which is cool and the pen cap/tip works well as a striking tool. 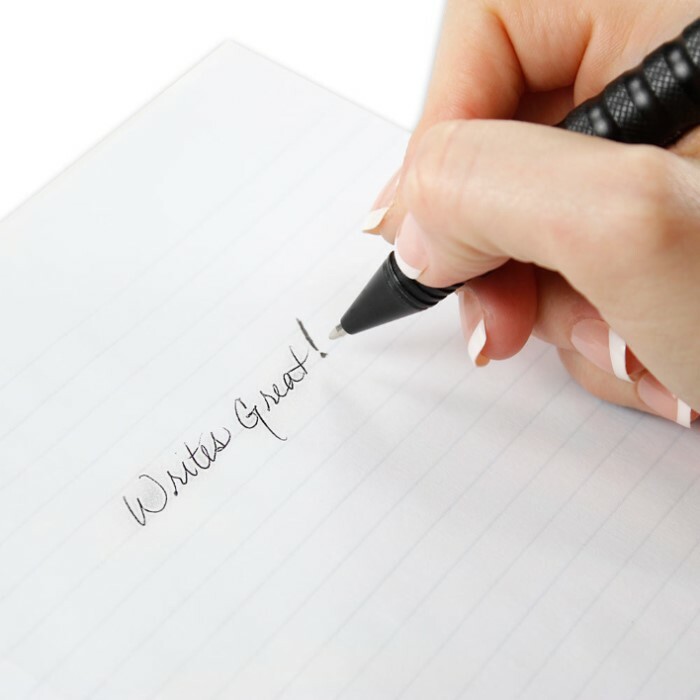 Overall, I am pleased with this tactical pen and would order another in a flash. Very durable and the flashlight is a plus. Can't believe how bright it is!